Inspired mostly by Medieval architecture and the Middle Ages, fortified stone castles in video games are always among the most exciting locations. These bastions are the keepers of many secrets, hidden cellars and lost knowledge all awaiting the player to find them. 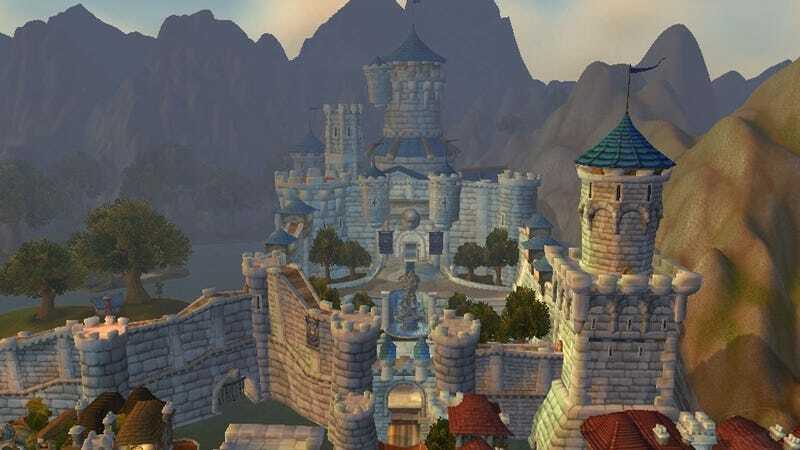 We collected some of the most amazing video game castles, opting for those that have an astonishing atmosphere that makes it easy to get lost in them. We also chose some of the most iconic ones that continuously reappear in certain video game series. Edgar's home, Figaro Castle in Final Fantasy VI, can burrow underground thanks to its unique, advanced technology. Anor Londo is just beautiful in Dark Souls, but most of us probably hate this place because of that damned Ornstein and Smough fight. Dracula's Castle is an iconic one, and it's the setting in most of the Castlevania games. Castlevania: Lords of Shadow might not be the best Castlevania game, but Dracula's home looks stunning in it. Once the Castle Age is researched, this robust, awesome fort can be built in Age of Empires II. The castle in Ico is an eerie, mysterious place. Princess Peach's Castle appears in dozens of Super Mario games, including New Super Mario Bros. U. The overview of the Castle faction with fully a upgraded building in Heroes of Might & Magic III is glorious. Just like Peach's Castle, Hyrule Castle in the Zelda games is also a recurring one. The giant German fortress in the last mission of Commandos: Behind Enemy Lines even has V2 rockets inside. The Stronghold games are all about castle building and management and, because of this, the best-looking ones are built by players. The Masyaf Castle, found in Syria, had a significant role during the Crusades but was also remade beautifully in Assassin's Creed. The main antagonist, Ultimecia's castle in Final Fantasy VIII looks like an over-designed building from the Victorian era. The fighter class' stronghold, the De'Arnise Keep in Baldur's Gate 2, is occupied by trolls in the beginning of the game. Poor Iggy's castle in Super Mario World is the only fort with pink grids all over the place and probably sits at the number one spot on the "Video game castles that have been destroyed the most" list. Here it is again, though it looked a bit different back in the 90s in Warcraft: Orcs & Humans. Submit your picks in the comments below to show us what else is out there!